Amazon’s digital assistant technology Alexa is now available on 20,000 devices according to the internet retailer, an impressive increase on the 4,000 connected devices where users could access the smart assistant at the start of the year. The figure was revealed during an Amazon press event at IFA in Berlin, as reported by CNET, where the eCommerce giant also noted that devices from over 3,500 brands could now function with Alexa controls. 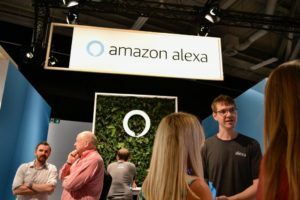 As part of the IFA presentation, Amazon unveiled some of the latest Alexa-enables devices including the Huawei AI Cube smart speaker, Yale’s Sync home alarm system, and Asus’ ZenBook laptops. The company is also working heavily with enterprise manufacturers and supplies, integrating Alexa into cars, hotels and office spaces. 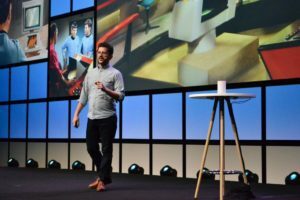 Competition is growing increasingly intense in the digital assistant space, with rivals including Apple’s Siri, Google Assitant, Cortana by Microsoft and Bixby by Samsung. One of the key metrics for success in the area is the range of devices any given smart assistant is available on, and between Amazon’s early dominance in the area, its extensive device maker partnerships and the strong developer base it has established, it is in a powerful position. Developers in over 180 countries are working on Alexa skills, which has led to an ecosystem of over 50,000 Alexa voice apps or ‘Skills’. Alexa Skills range from children’s storytelling to up-to-the-minute news updates and everything in between, and with the rise of the smart home, Amazon is also focusing heavily on enabling Alexa to serve as the heart of an IoT network.